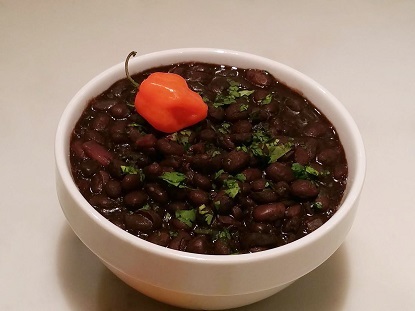 These Spicy Black Beans were featured as part of my recent Spice of Life cooking demonstration at Williams-Sonoma in New York City. The audience absolutely loved it! I hope you’ll enjoy creating this zesty, spicy, flavorful dish at home! In a dutch oven (or stock pot), add beans, salt, garlic and water and simmer for 85 minutes over medium-hi heat. 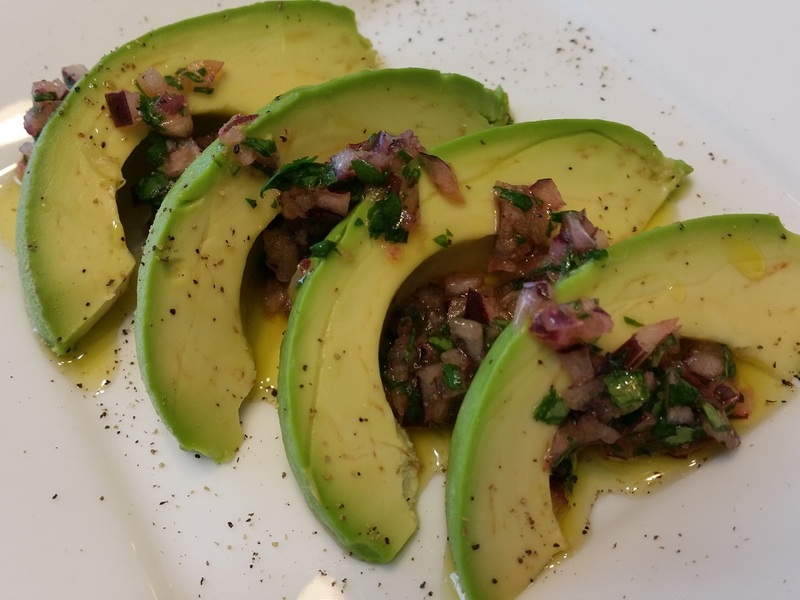 Add olive oil, red onion, habanero and most of the cilantro and cook an additional 3-5 minutes. Remove from stove and cool for a few minutes. Remove the garlic cloves and habanero slices. Spoon beans into medium flat bowl and dress with remaining cilantro.